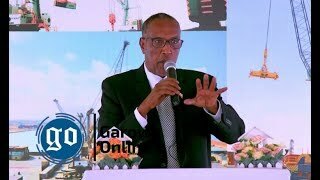 KISMAYO, Somalia Sept 14, 2014 (Garowe Online)-The Vice President of Somalia’s Jubaland administration Gen. Abdullahi Sheikh Ismael Fartaag has unveiled the date on which the peace-building conference will commence in the southern port city of Kismayo, Garowe Online reports. 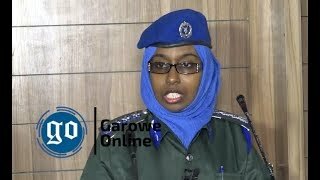 Addressing reporters on Sunday, Gen. Fartaag vehemently stated that delegates representing Gedo, Lower Jubba and Middle Juba regions have already arrived in Kismayo for the second phase of Jubaland reconciliation conference as slated. “Jubaland admin prepared the conference venue and buildings that would house the participants,” said Jubaland VP, noting that reports of postponement are ‘unfounded and baseless’. “Peace-building conference will kick off on Tuesday. 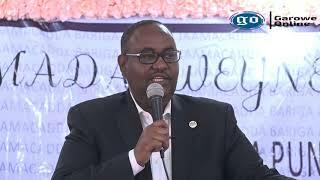 It wouldn’t be postponed even for an hour according to the inclusive framework designed by Somalia Federal Government, Jubaland and IGAD,” he added. 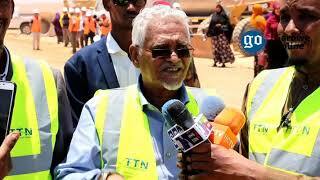 A delegation led by the President of Jubaland Sheikh Ahmed Mohamed Islam (Madobe) who is now on visit to neighboring Kenya is set to land at Kismayo airport on Monday. 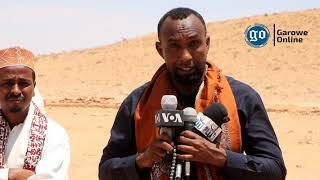 Peace slogans were plastered over popular targets in Kismayo, with residents chanting for lasting peace and development.